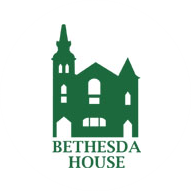 Bethesda House aims to reduce avoidable hospital use by providing care to some of the most underserved members of our society, homeless or unstably housed individuals who are frequently high utilizers of Emergency Departments. Bethesda House hopes to accomplish this by recruiting a full-time Registered Nurse (RN) who will provide on-site oversight, home visits, and community visits to the nearly 200 daily attendants of their facility in Schenectady, seeking to better manage patient health. Currently, many DSRIP participants experience difficulties in medication management and compliance, and accordingly, often fail to complete self-directed treatments as prescribed. As such, the RN will serve to assure treatment compliance and identify clients/patients who may require a higher level of medical attention for referral to Ellis’ Residency Program for further care, therefore more proactively managing patient health and ultimately reducing avoidable use.